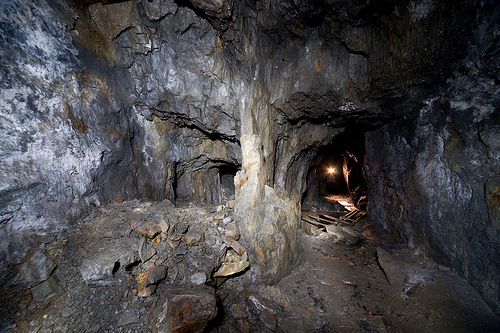 Tucked away in the North Wales hills, this mine was never very successful - after about 15 years of preparatory work, it only actually produced for about 6 years at the end of the 19th Century. What's worth seeing is the power source - a giant waterwheel was used for both pumping and lifting up the deep vertical shaft. 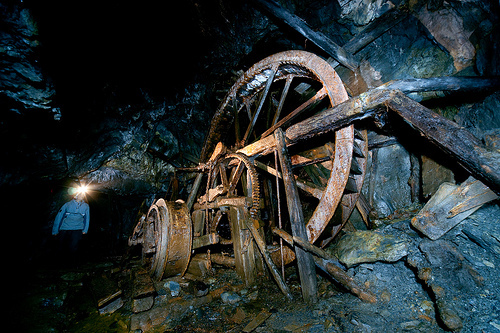 All mining was done by hand - this mine was too early and too small for mechanisation. The floors are an interesting mix of rock and rotten wood - sometimes it's hard to tell one from the other. Some of the best mine photos I think I've seen! That water wheel is absolutely stunning! 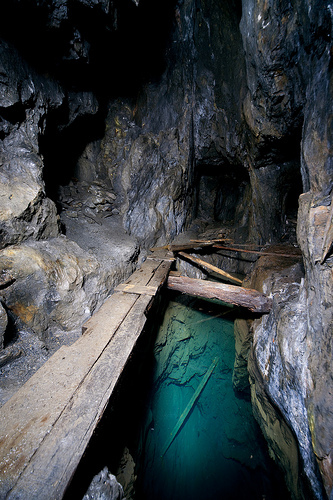 Great photos, loved this mine when we visited a couple of years back, small with no stress and packed full of rewards. Great effort on photographing the waterwheel, it is sqeezed into a suprisingly small space, and a wide angle is a must! 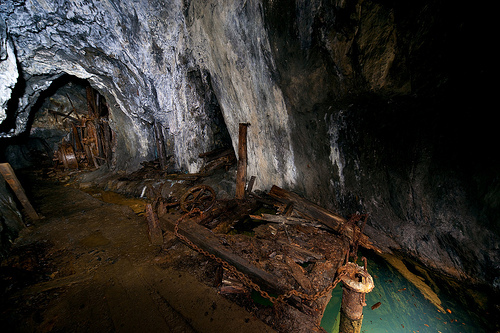 I too went to see this mine in 2007. Well worth it if you are in the area. Beautiful pics there. Thanks for posting. The water looks really clear. How deep could you see down the flooded shafts? very good photo's. Go along the edge of the flooded stope along 'rickety boards' and then up the shaft to the level a few feet higher. Carry on for a bit then start to hum, adjust the tone of the hum until it hits the resonant frequency of the mine and the effect is truly awesome. Much better than singing in the bath and guaranteed to terrify your mates. This is worth trying in any mine but this wee welsh mine does it better than many. You will probably stop long before it gets dangerous ,its a good test of your own nerve. 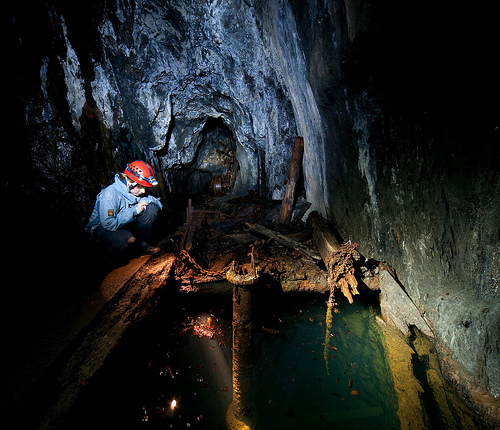 Extreme care should be taken as you get further in as large sections of the floor are false and if you fall through the floor you end up in the water .When you come to the surface you bang your head against the wooden floor from underneath nowhere near the hole you went through. It is dark and you drown. Otherwise though, this place is truly stunning. Is that the bit at the collapsed gallery, where there's a rope to climb? I didn't see this first time round but your photos are great, the water especially. AHHH yes, been on my "to do" list for yonks! Those are stunning photo's what more can i say..